Manuscripts, rare books, archives, tablets, inscriptions, and other kinds of written records are sometimes the only form in which the past survives. Whether they are in monasteries, private libraries or forgotten tombs, they are objects of historical importance and deep local meaning. They are also especially fragile, susceptible to fire, insects, water and humidity – and are sometimes singled out for deliberate destruction by those afraid of their symbolic power. When there is an earthquake, a flood, or an armed attack, the heritage may be lost forever. Through the first round of this call in 2017, CER and Whiting helped stewards around the world to prevent and minimize loss by funding fourteen varied projects. 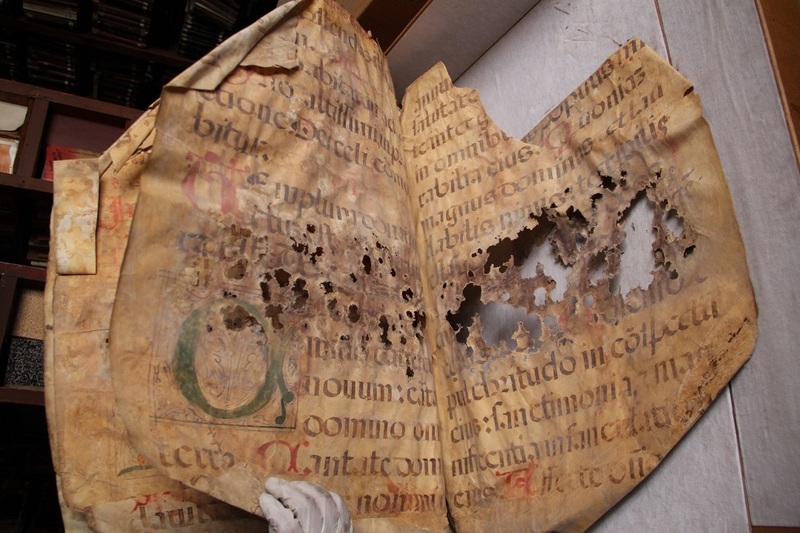 In Ecuador, where the library collection of the monastery of San Augustin was under threat from earthquake damage and humidity, the program funded local efforts to restore, digitize, and safely store this long-hidden trove of documents. In Nigeria, where ancient manuscripts were threatened by encroaching militants, it helped to establish a manuscript conservation laboratory. And in Egypt, where inscriptions in the necropolis of Al-Salamuni were being vandalized, it supported visual documentation to record them. We received an overwhelming number of applications, illustrating a pressing need for support. The second round will continue to facilitate the vital work of restoring physical objects and making the information they carry accessible to a wider public for generations to come. In doing so, we hope to contribute to the appreciation of cultural achievement and historical diversity and foster the worldwide dissemination of forgotten or endangered stories. The final deadline for applications is 1 December 2018 at 17:00 Amsterdam time (CET). Applications received after the second deadline cannot be considered. Please note, that proposals will be accepted throughout the call. The budget for this call is limited and the most urgent applications are given priority. It is recommended to not wait until the final deadline, but to apply as soon as possible after your documentary heritage is affected by conflict, natural- and/or man-made disaster. If your archive is not in acute danger and therefore will not be considered for the Prince Claus Fund’s CER programme, the British Library’s Endangered Archives Programme offers a number of grants every year to individual researchers world-wide to locate vulnerable archival collections, to arrange their transfer wherever possible to a suitable local archival home, and to deliver digital copies into the international research domain via the British Library. The next call for preliminary applications is from September to early November. For more information, please visit their website.